While traditionally run as separate entities, the Washburn University Foundation and Washburn University Alumni Association have always shared common goals: promoting the Washburn mission, fostering relationships, and creating new possibilities for former, current and future students. 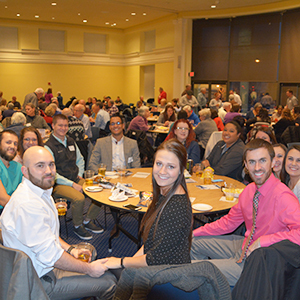 Thus, the Foundation was combined with the Alumni Association to create the Washburn University Alumni Association and Foundation, a single point of community for alumni and other members of the Washburn University network. Our focus is on building relationships for a stronger tomorrow. The Washburn University Alumni Association and Foundation exists to serve. We celebrate the past while looking toward an even brighter future. We give back to those who once called Washburn University home while facilitating their contributions to help others do the same. We hope you'll join us by staying in touch with Washburn, joining the Washburn Alumni Association, or donating to your favorite department or cause on campus.